Life Cycle Analysis [LCA] is the assessment of energy and other environmental impact and is specific to a product or component. Broadly speaking, the more often it moves, moves fast or accelerates & decelerates, the more competitive a carbon fibre component will be in an LCA comparison with other materials. This generally means that the LCA needs to be a Whole Life LCA and not a Factory Gate LCA in order to be competitive. 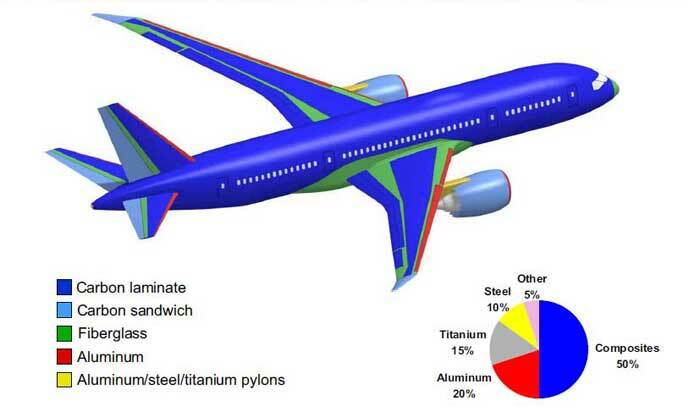 An LCA for a passenger jet will show a 20% saving when made with a great percentage of composites over the traditional all metal aircraft.